Dad preferred Jeb? Most photos: Click to enlarge. Pundits like to attribute bad government policies to supposed "character flaws" in the Chief Executive. Bush smashed Iraq because he's a "dry drunk" who feels the need to prove himself to Dad (who always preferred Jeb)--the explanation goes. Not in order to increase U.S. control over the Middle East's countries and oil. 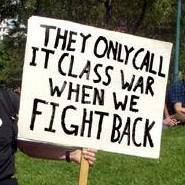 Why did Obama let Wall Street destroy the U.S. economy and then reward it with a gift of a trillion dollars? 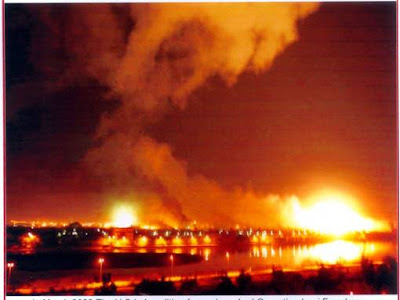 Why did he let Big Oil destroy the Gulf and our Gulf states? According to Times pundit Frank Rich, because Obama is "too deferential" to the opinons of experts. He's "too trusting" in the advice of his own staff. Character flaws. Not because Obama is a tool and handmaiden of Big Finance and Big Oil (both of which were also Big Campaign Contributors). First I and then political scientist Michael Parenti argue that Presidents push bad policies in order to further benefit the ruling elite at the expense of the rest of us. I focus on Obama and include a reading from Frank Rich's preposterous op-ed, mentioned above. Parenti (speaking in January 2008) touches on G.W. 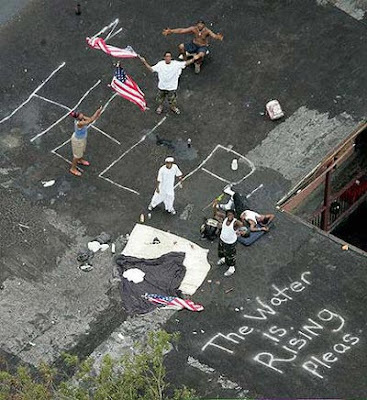 Bush's economic policies, Iraq war, and ethnic cleansing of New Orleans. He argues that all were deliberate policies--ruthlessly executed and largely successful--not unfortunate results of character flaws. with Rahm Emanuel) is too deferential, too trusting of the advice of experts. 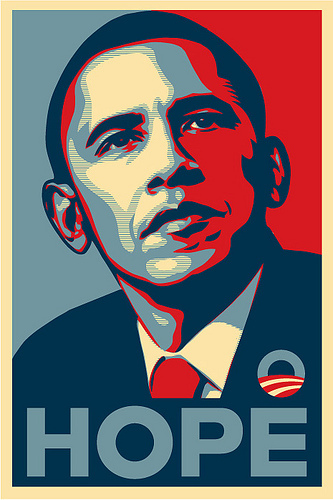 of Obama appears to be the basis of the famous "Hope" campaign poster. 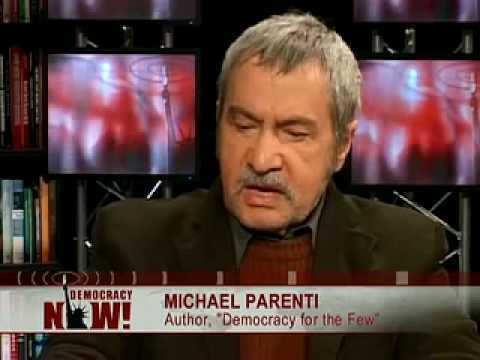 Michael Parenti's remarks--recorded January 22, 2008--courtesy of Maria Gilardin and TUC Radio. Frank Rich's balderdash was from the New York Times "Week in Review" section, Sunday, June 6, 2010, p. 10. New World Notes is produced under the auspices (Latin for "thumb") of WWUH-FM, a community service of that beacon of light in darkest Connecticut, the University of Hartford. You can listen to any installment of New World Notes online or else download it (as an mp3 audio file) for later listening. The show is archived at both radio4all.net and (from #90 onwards) The Internet Archive. Or browse the show's Web site: Each installment has a page, and each page has links to the recorded audio. July 27 and August 3 -- War Made Easy. A 2-part radio adaptation of this video documentary from 2007. Shows the techniques with which our government and our media drum up public support for war in a well-planned campaign of propaganda and lies. The same techniques are used each time. Features commentary by Norman Solomon and Sean Penn, plus much TV footage from the 1960s through 2007.